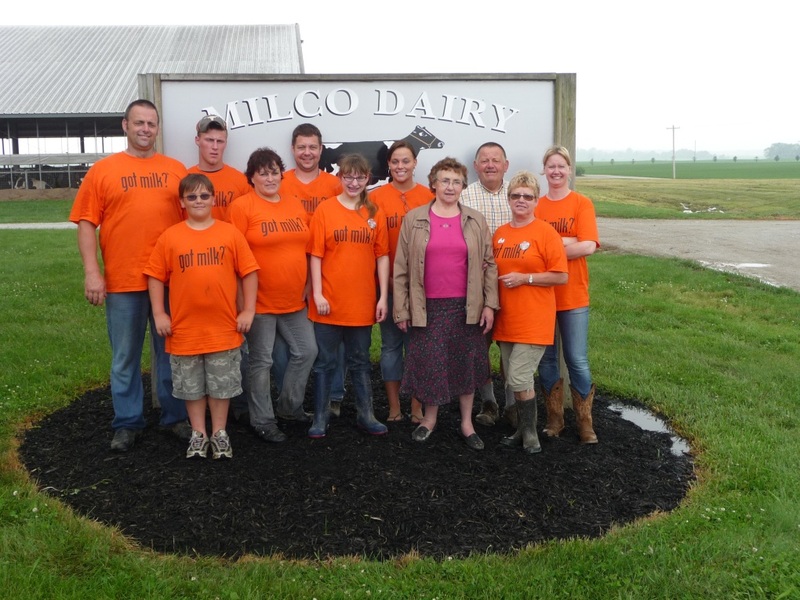 Dairy Princess Legacy | Winners Drink Milk! My Indiana Dairy Princess legacy is coming to an end. There were three main goals I wanted to accomplish as Indiana’s Dairy Princess including: educating the public, supporting the facts and getting rid of the myths, and experiencing the dairy industry from a different perspective through the different experiences Milk Promotion Services of Indiana staff had planned for me. Summarizing my legacy and legend as the Indiana Dairy Princess, I have had many opportunities in educating the public. By attending the various activities planned by MPSI staff and sponsored by Indiana’s Dairy farmers, I have clarified things like: Farming is nothing like pharmacy…There is no such thing as boy cows and girl cows…Cows are all girls and bulls are boys…Baby cows do not come out of the udder…and organic milk is not any better for you than non-organic milk – there is just a difference of how the production affects the environment. I have also gone over the steps of recycling and why we spread the manure on fields, and of course I have had to be professional when dealing with individuals who support PETA. The facts and research that are available for supporting the dairy industry need to be reemphasized by the voice of the Indiana dairy farmers and their team members. Being part of this team, as the Indiana dairy princess, I have had the opportunity of a life time representing them in different ways around Indiana. Starting my journey with June Dairy Month Brunch on the Farm at my mom and dad’s dairy farm which is where I met the staff from MPSI. I was able to guide tours and answer many questions about the production for tour guests. I officially started my adventure by attending the state fair. At the state fair, I ate as much ice cream and grilled cheeses at the Dairy Bar as my body would let me :), because dairy judging and parades with butter cup was a lot of work in the heat. I was also asked to try the new fried item at the fair, DEEP FRIED BUTTER. Being the Dairy Princess I was asked to attend “The Ice Cream Crank off” and watched competitors make their own flavor of ice cream. Next stop was the Kelsay farm where I dressed up as a fairy and read Fairy on a Dairy enjoying the sparkles in each little girl’s eyes. Then I attended the 2010 Indiana State School Music Association competition where I was able to hand band members a cold glass of milk after their great performance and meet many of the MPSI board members. Getting the engines rumbling with the “Fastest Rookie Luncheon” is where I was able to meet JR Hildebrand and more rookies. Last but not least, the Indianapolis Zoo Zoopolis event where tortoises race and I had the opportunity to answer more questions about milk and the importance dairy! Other events that I have been invited to are Hagerstown school ceremonies to speak, the Titan 500 race at my former elementary school, radio interviews and many more events. There was also an ice cream social in Indianapolis and Indians game this year that I was not able to attend. However, I have had numerous opportunities to accomplish my three goals of educating the public, reiterating the facts, and having an experience of a life time.